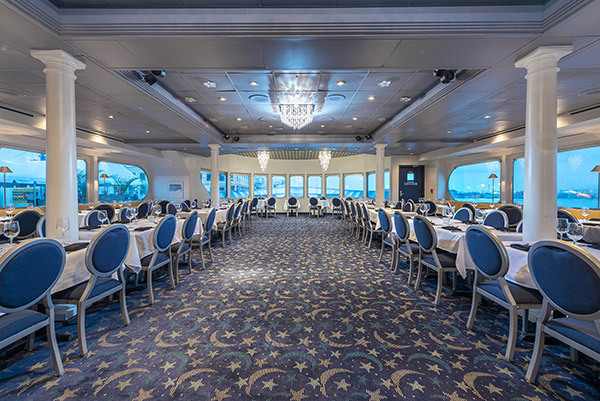 America’s first dining yacht to be recognized by AAA with a three-diamond rating, Yacht StarShip has earned positive reviews from both critics and clients alike. The winner of “Best Event Facility” in 2010 by South & Central Tampa Tribune readers, we offer a venue like no other for pleasure, business or both. With numerous customization options available, you are free to choose any theme, decor or music to suit your event. Special requests are also welcomed. Take your corporate or social event, network meeting, birthday or wedding to the next level with Yacht StarShip. Call 813-223-7999 to speak with one of our helpful representatives and get started on creating your next unforgettable St. Petersburg journey today! NOTE: Alternate docking locations are available throughout Tampa, Clearwater, St. Petersburg, St. Pete Beach, Sarasota, and Tarpon Springs. Additional charges may apply. If you want an unforgettable wedding that everyone will talk about and never forget, this is the place. Our wedding was 4 days ago and my husband is still telling me how perfect he thought it was. We can’t wait to come back. 100% the best place. Best staff, best food, so much fun and so unique. No one I know had their wedding on a beautiful yacht, just saying. Thanks yacht starship!!! Truly so professional, so accommodating, such friendly people to work with. I want to do this all over again! !